Galvanized Shelf | HG2001 | Free Shipping! Please note, price is for potting bench ONLY. Props shown in photo are NOT included. 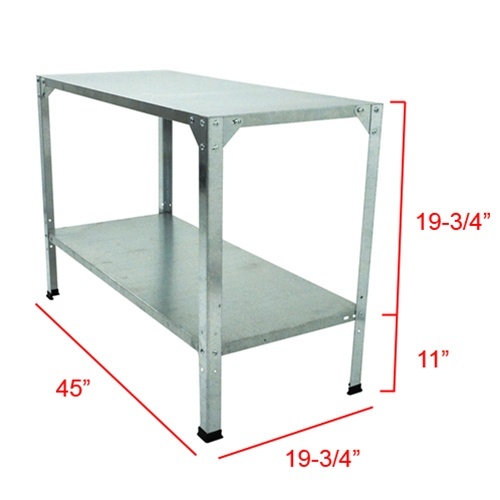 This galvanized 2-level shelving unit is a great storage solution for your greenhouse, shed, or garage. 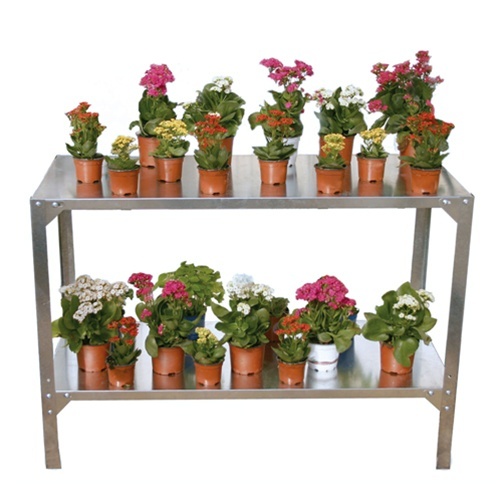 The shelf unit stands 32" high, so it can also be used as a handy work surface for potting plants, preparing seeds, or any other activity! 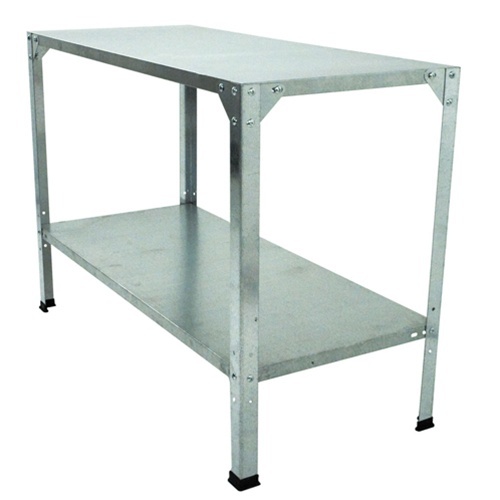 Constructed of galvanized steel for durability and featuring a smooth surface for easy cleanup, this shelf unit will be a useful fixture for years. Shipping carton dimensions: 46" x 21" x 3"
Shipping carton weight: 26 lbs.